FP Canada has applauded the Ontario government’s commitment to introduce legislation to protect titles for financial planners and advisors in the province. The body, formerly the Financial Planning Standards Council, said the Conservative’s 2019 Budget was a significant step towards improving consumer protection by helping consumers make informed decisions about whom to approach for financial advice. 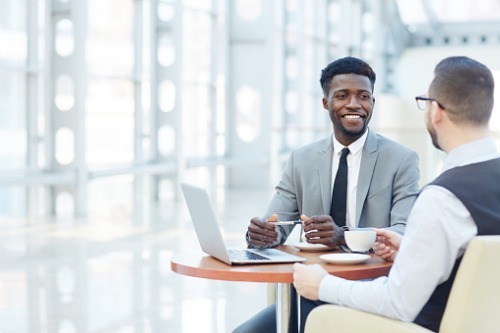 Ontario Minister of Finance Vic Fedeli announced on Thursday that a new framework is being developed that requires individuals using the “financial planner” and “financial advisor” titles to have an appropriate credential. Currently, there is no legislated standard in place for those who claim to offer financial planning or advice and, in all provinces except Québec, people who use the title “financial planner” are not required to obtain any credentials whatsoever. On the eve of the Budget, FP Canada president and CEO Cary List spoke to WP about his frustration that things had not moved quicker on this issue and how he hoped his lobbying efforts would trigger action this time. After Fedeli’s Budget, the organization reiterated its belief that everyone who holds out as a financial planner should have to meet “stringent proficiency and ethics requirements” like those met by all FP Canada certificants, including CFP professionals. List added: “Most Canadians are confused as to whom to turn to for professional financial advice in Canada, and don’t know the difference between the various types of advisors out there. They are at risk of getting advice from someone who doesn’t have any relevant expertise or qualifications, or seeking the wrong advice from the wrong people. “We commend the Ontario government for acting quickly on this long-standing consumer protection issue. We look forward to continuing to provide counsel to the Ontario government as it establishes this critically important legislation for the benefit of consumers. Allan also said it was important for IFB members to see that the Budget acknowledged the province’s “thriving and innovative financial services sector, delivered alongside a robust regulatory system which has, at its heart, a strong consumer protection mandate”. She added: “IFB recognizes that for these goals to succeed, those who are licensed and educated to provide advice to retail clients must be professional and proficient. Fortunately, Ontario already has in place both a robust licensing system and system of regulatory oversight through its existing provincial securities and insurance regulators, and national SROs, IIROC and the MFDA. “It is important to IFB – and IFB members - that the government has recognized this, and intends to enhance consumer protection without introducing unnecessary regulatory burden, and to be mindful of the current regulatory oversight of current licensees and registrants,”. Allen backed Ontario Premier Doug Ford’s approach and said IFB looks forward to developing the consultation process so members will continue to thrive “in an environment that encourages innovation, open competition, widespread access to advice, while being delivered in a cost-effective way". She added: “These goals are consistent with the Ford government’s stated mandate to reduce costs, the regulatory burden and making Ontario ‘open for business’. Meanwhile, the Investment Industry Association of Canada broadly welcomed the provincial government’s plans to balance the budget and provide “greater stability for future generations and the fiscal room to deal effectively with demographic pressures and unforeseen circumstances”. The association also highlighted other Budget measures tabled such as: a commitment to deregulation in the province by accelerating to 2020 the government’s target date for a 25% per cent reduction in red tape barriers to business; a proposed Fiscal Sustainability, Transparency and Accountability Act requiring the government to implement a strategy to responsibly manage Ontario’s $343 billion of borrowings; a credible plan to support the growth and competitiveness of Ontario’s capital markets, including establishing the Office of Economic Growth and Innovation within the Ontario Securities Commission; and lower costs for business, including through the previously announced Ontario Job Creation Investment Incentive. Ian Russell, president and CEO of IIAC, said: “The IIAC is pleased to see that the government has taken measures to return the province to fiscal balance, create jobs and set the province on the road to renewed economic growth.